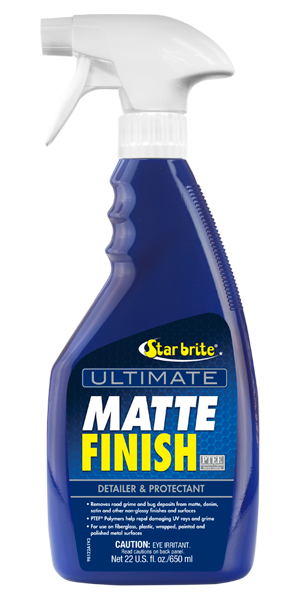 Star brite's ULTIMATE Matte Finish with PTEF® is formulated specifically to clean and protect all matte, denim, satin, flat and other non-shiny surfaces. It also adds a protective, non-glossy PTEF® polymer barrier to help repel grime, greasy smears and UV rays that can cause the finish to become dull and faded. It is also a very effective waterless cleaner for fast cleanups.